I’ve been off the radar for a while because I haven’t had anything happy or positive to write about over here. I haven’t been able to take classes because of loosing my job, I feel insecure and far from confident in my dancing, and haven’t made any progress. I’ve been doing a lot of running and going back to aerial (www.polerinaaerialdance.com for that blog!) and otherwise doing some foot strength exercises. I started doing barre again at home, and simple pointe work because I have an idea for an aerial routine for the spring competition season, and just miss dancing in general. 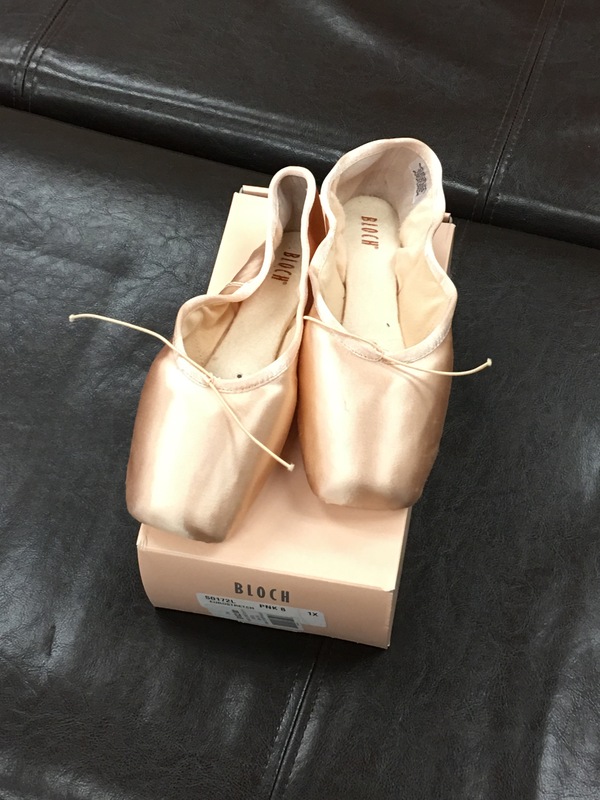 I think as dancers we all struggle with the search for the perfect shoe! It’s even worse for us big footed dancers because it seems no one has our size in stock so trying on is the devil! I’ve had to purchase numerous pairs of shoes I didn’t really like because of just lack of anything else. When I was living in Boston I fell in love with the Suffolk Stellar (light) and haven’t been able to find them anywhere since. I’m afraid to order them online that they won’t be the same but I’m probably going to have to get over that! 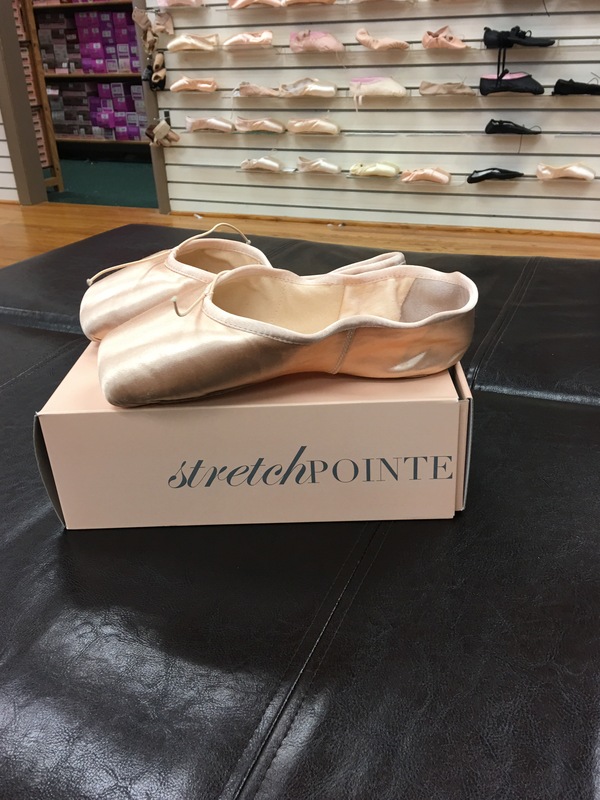 I have been eating great things about the Bloch Eurostretch so today I was on a mission to give them a go thinking they would be easier to find, and well I succeeded! First off, I loved how they felt, they were soft and stretchy and molded to my foot perfect. The inside was cushy and no big toe pain on pointe! And omg the box is PRETTY! The only thing I didn’t like was the box didn’t feel good for balancing and that was the only reason I didn’t get them. Maybe I’ll give them a go and see what happens next time (while I have backups that aren’t dead!) and see if I’m able to balance like in my other shoes. On a whim I asked if they had the Stellars and they did, and in my size! They weren’t the light shank but the standard, and they felt a little bit hard but I think once they’re broken in maybe they will last a little longer. So I ended up with another pair of my old favorites and a super cute H tutu O water bottle. So what feels like starting from scratch (I looked good at the store and not like an idiot or amateur at least haha) and getting strong agin so when I can return to classes I’ll be ready and able to keep up! I’ll just be Right Here at MY Barre! Next World Ballet Day Fun!! !